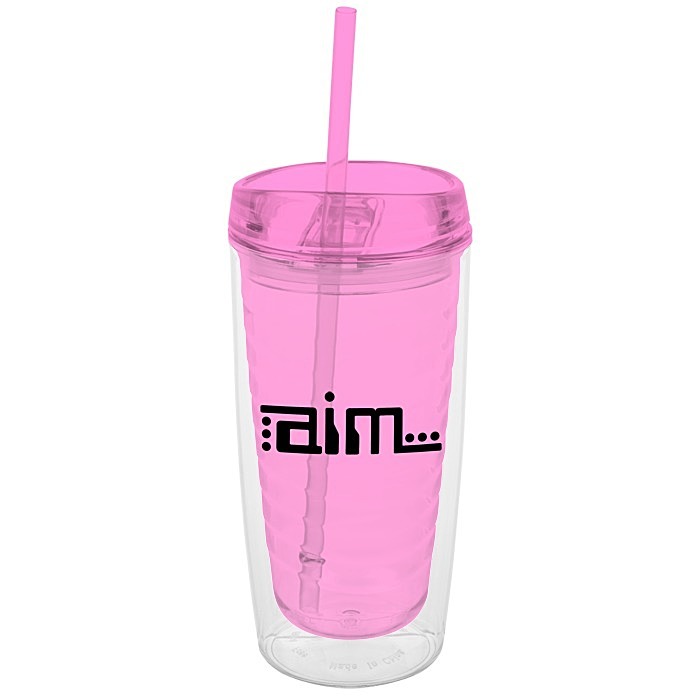 Liven things up pronto with these vivid promotional tumblers – 24HR! 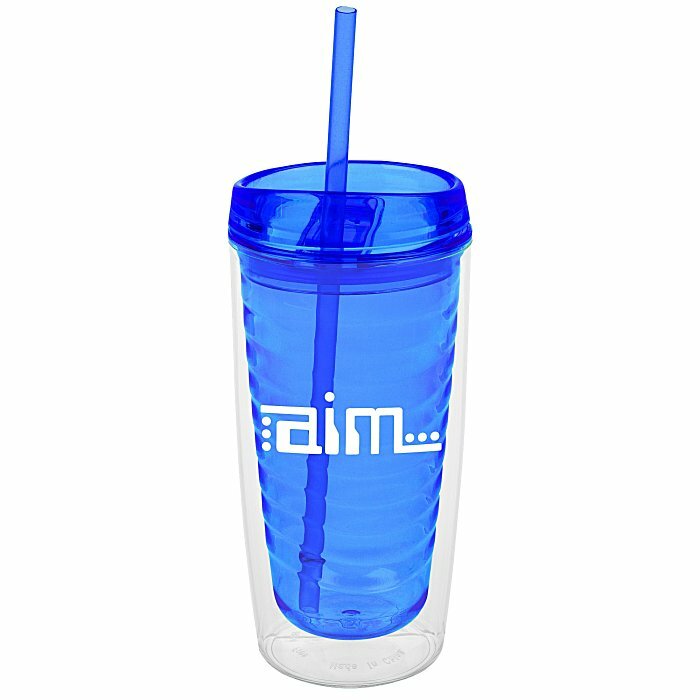 This translucent tumbler has double-wall construction, making it great to use in any weather! 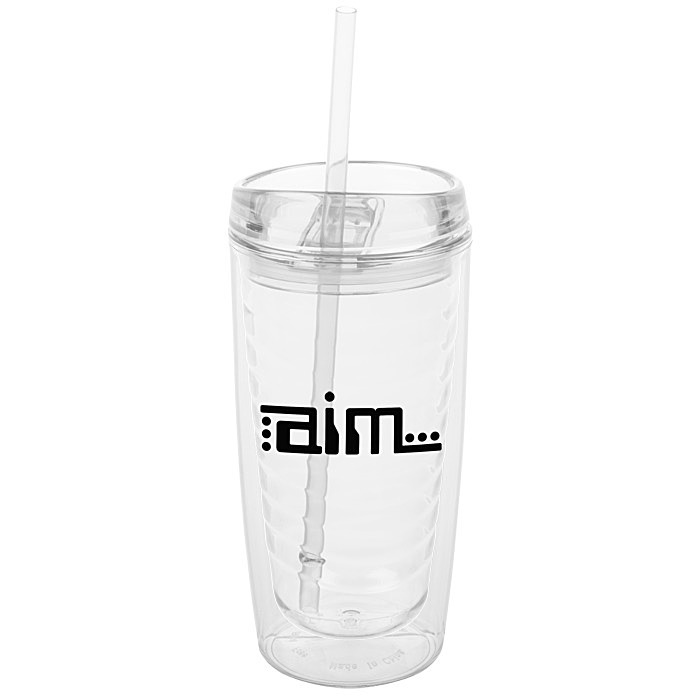 Features a wave pattern design on the inside wall, giving the tumbler a distinct look. Ideal for summer events, corporate picnics and sport sponsorships. 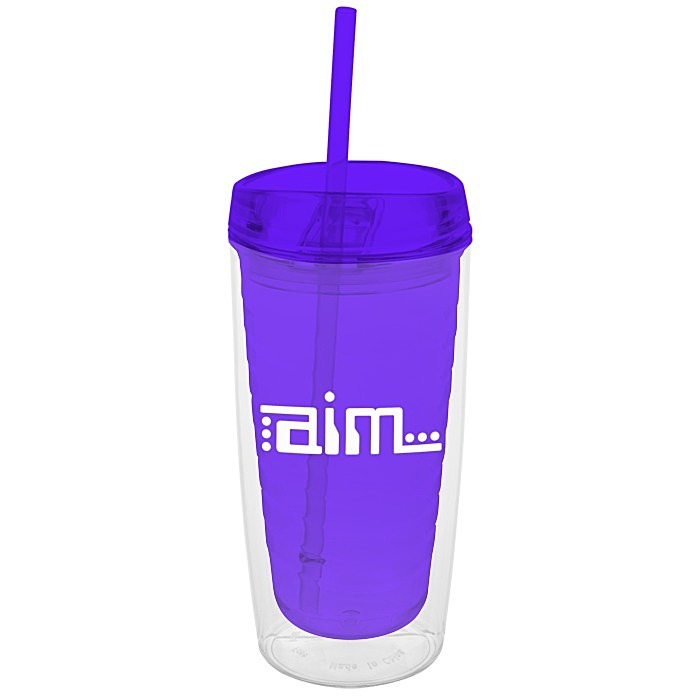 Comes with a straw that matches the colored screw on cover and translucent inner wall. Cover also features a slide-open spout for easy drinking. Available in a variety of springtime colors. Made of BPA-free acrylic #7, which can be recycled in only a few limited areas; check locally for more information.